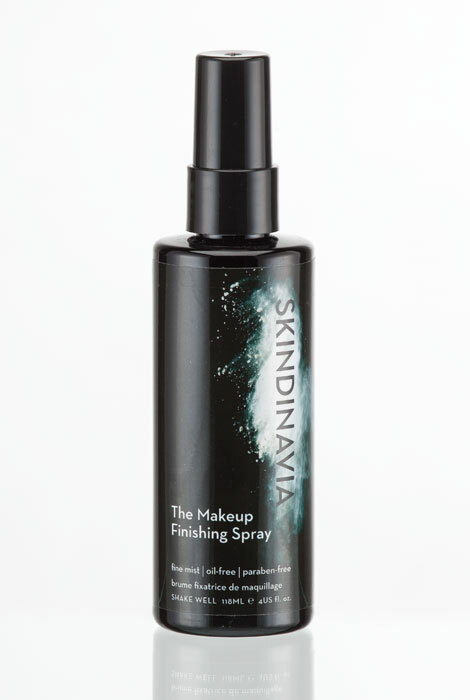 Just a quick spray of this light, ultra-fine makeup finishing spray gives your makeup super staying power, keeping it fresh and flawless up to 16 hours! 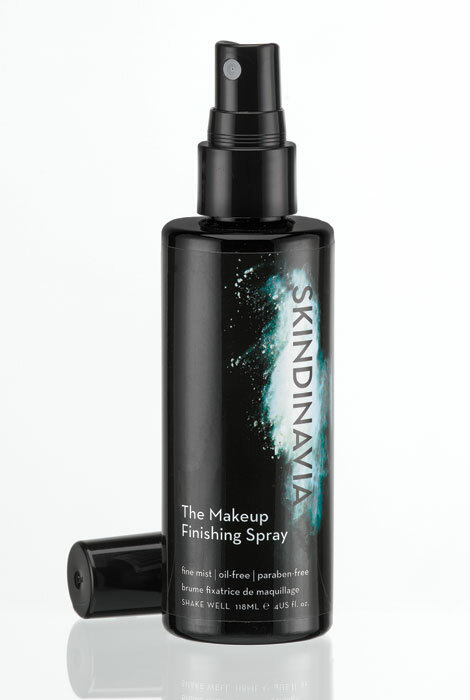 Skindinavia’s breakthrough formula boasts patented Temperature Control Technology® which keeps the makeup surface cool to prevent fading and meltdown in humid, sweltering summer heat or frigid, windy conditions and everything in between. Never sticky or tight feeling, the easy-to-use makeup spray delivers an ultra-fine mist you’ll barely feel. But you will notice the difference when your makeup looks as good at the end of the day as it did just after applying. Bonus: this finishing spray gives your makeup a healthy, natural glow and keeps it from settling into pores, fine lines and wrinkles. No touchups needed! Paraben-free, hypoallergenic. 4 oz. Keeps it fresh and flawless up to 16 hours! I use this on a daily basis , and will give it to my sisters as a gift as we have looked for this product for some time . No more riined clothes. Not having to touch up makeup when I'm at an event - is a REAL plus! I like how it feels and it sets my makeup. North Carolina weather can be harsh either way and this could probably help me with makeup staying power. I liked the description of the product. My makeup is usually gone before lunch. Maybe this will help that. I use this faithfully daily after makeup application. Really like this product. I have extremely oily skin and I'm hoping this will help with keeping my makeup in place. It's a great setting spray. Sister uses it to keep make up offf her othes. It feels good on the skin and leaves a nice finished look. Does this have fragrance in it? BEST ANSWER: it does not have a fragrance.